Penzance is a fantastic town to visit, filled with history, myths and legends and surrounded by a dramatic coast line with secluded coves and beautiful beaches, and unspoilt countryside. Within the town you will find traditional pubs and restaurants to cater for all tastes, independent shops and numerous beautiful parks and gardens providing lots of green space to relax. Below are a few of the popular attractions in the area. Just a 10 minute walk from the house is the Jubilee Pool, Penzance’s much loved art deco lido is the perfect place to take a dip in the salt water pool. Accessible via a man made coble stone causeway or by boat this small rocky island with a chapel, medieval castle and subtropical garden is home to the St. Albyn family, but maintained by the National Trust. 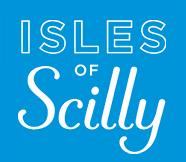 The Isles of Scilly form an archipelago off the southwestern tip of the Cornish peninsula. It is the southernmost location in England and the United Kingdom, as well as the most westerly in England. You can catch a ferry to the islands from Penzance harbour; just 10 minutes walk away from the house, or fly from Lands End aerodrome. Is mainland Britain’s most westerly point and is the start or finishing point of LEGOG - Britain’s end to end journey from the south west tip of Lands End to John O’Groats north east Scotland. The cliffs of Lands End offer breathtaking views over the Atlantic Ocean from where you may see sea birds, seals, dolphins, basking sharks and even whales. In the coastal village of Porthcurno, the Minack Theatre has been built in to the rock face overlooking the Atlantic Ocean. There are shows throughout the summer and you can visit the site year round.